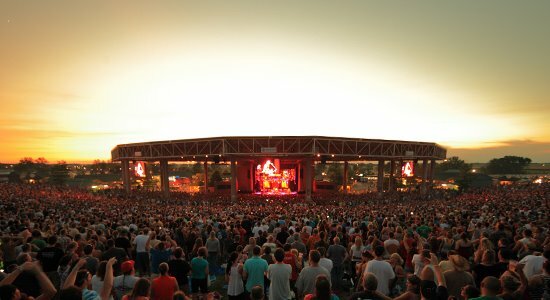 Please note that as of Oct. 2017, this venue is known as Ruoff Home Mortgage Music Center. Summer is the perfect time to enjoy an outdoor summer concert. Now you can take your experience to a new level with the Klipsch Music Center Supper Club, available at select performances this season. Chef Jeff Smith of Georgia Reese’s and Executive Chef Tyler Herald of Patachou will head the fine dining experience, creating custom menus for each show to incorporate fresh, local, seasonal ingredients. Formats range from three-course meals to supper-by-the-bite and more. Diners can expect a full bar and handcrafted cocktails or local wine and beer pairings. Supper Club patrons also receive access to limited VIP parking. Supper Club tickets do not include admission to the concert, which must be purchased separately.